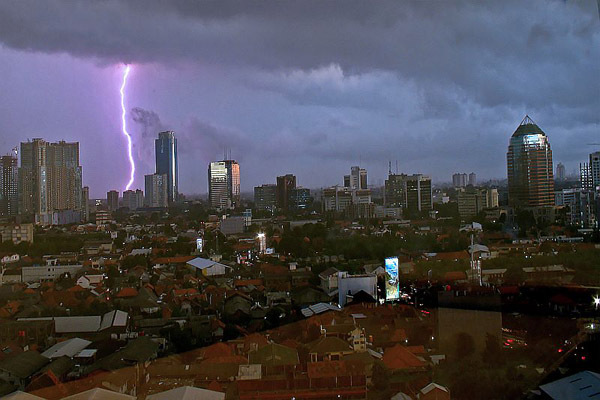 I spotted this great shot at Jakarta Daily Photo. I lived in Jakarta for about 3 years and moments like this were frequent and exhilarating. A sky full of lightning rolls over the city with an extravagant rainfall just behind.